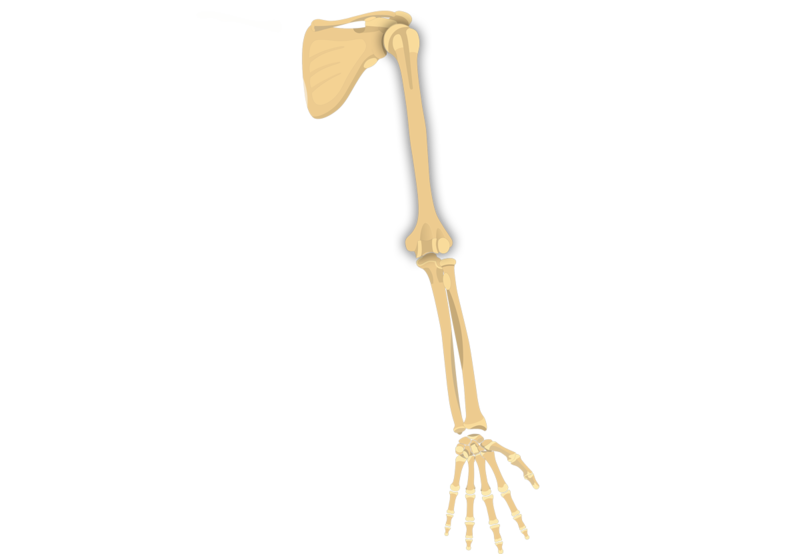 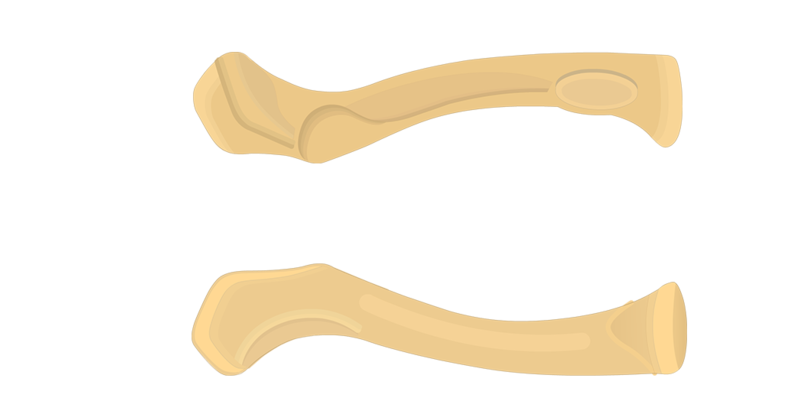 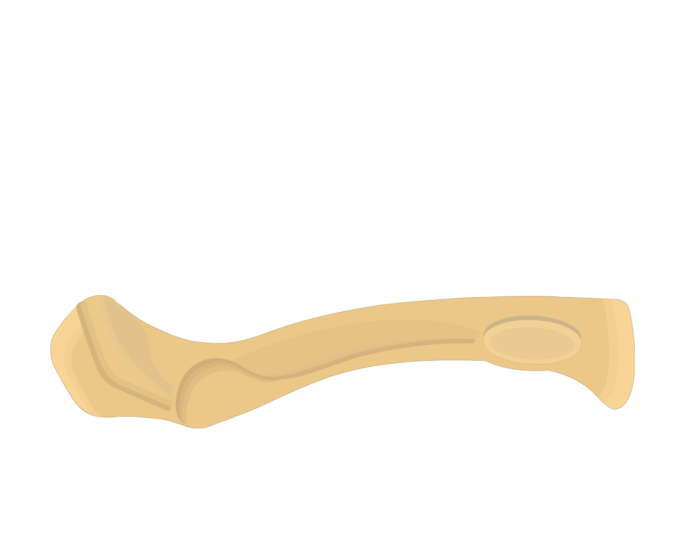 It is often difficult to determine the correct orientation of a disarticulated clavicle due to its relatively small size and few distinguishing markings. 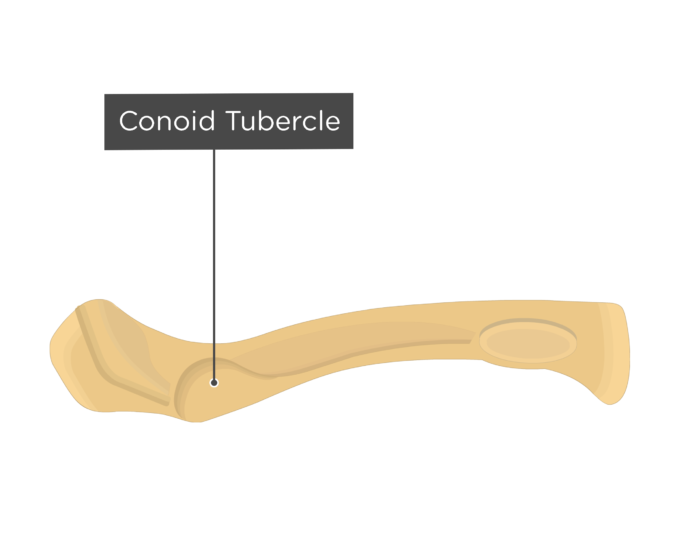 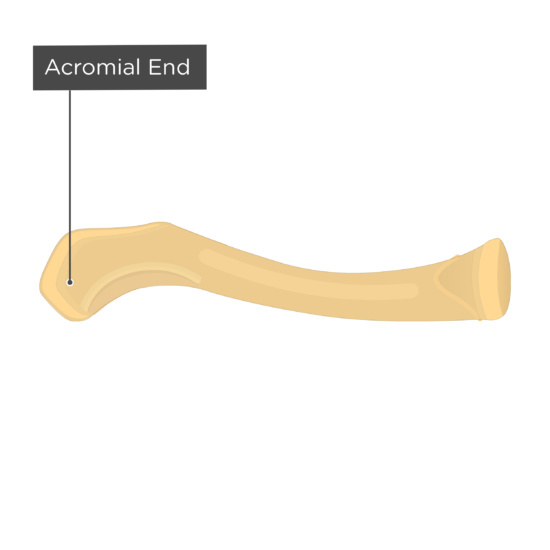 Conoid tubercle (tuberculum conoide-um) is a bump on the inferior surface of the bone, near the acromial end. 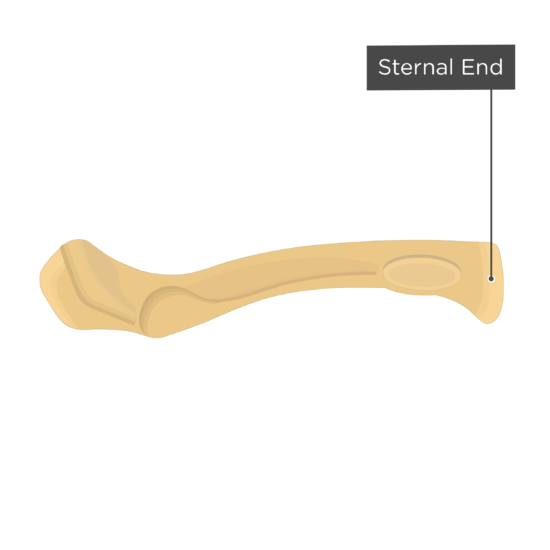 It is an attachment point for the conoid ligament. 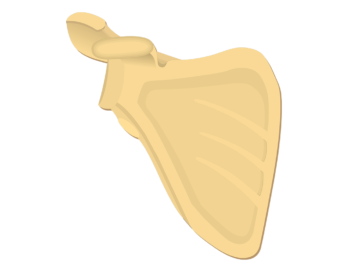 The conoid ligament is a part of the coracoclavicular ligament, which attaches the clavicle to the coracoid process of the scapula. 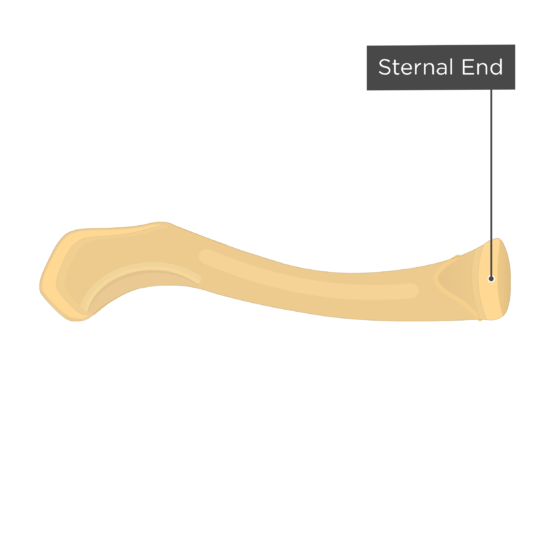 This prominence also serves as a useful landmark to identify the inferior surface of the clavicle. 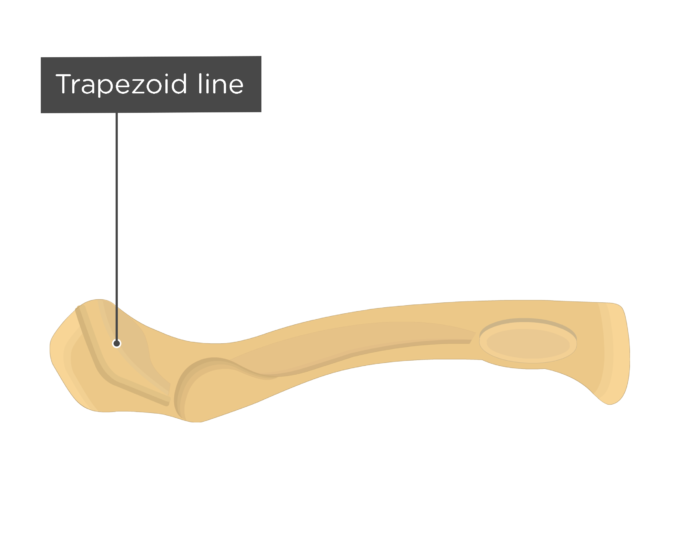 Trapezoid line or ridge (Linea trapezoid) is an elevation that runs obliquely from the conoid tubercle to the lateral end of the clavicle. 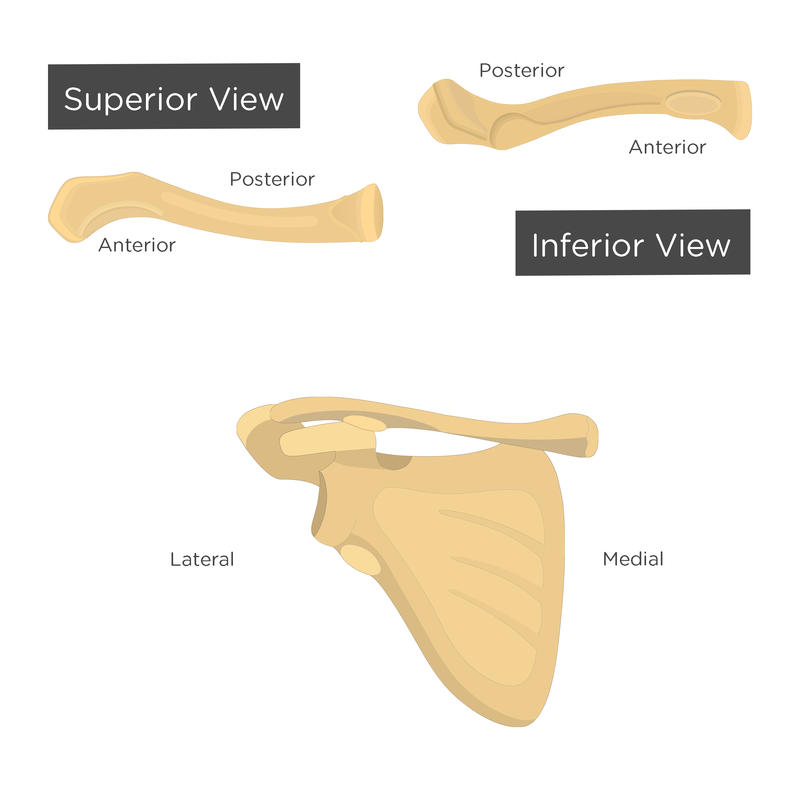 It serves as an attachment point for the trapezoid ligament, which is also a part of the coracoclavicular ligament mentioned above. 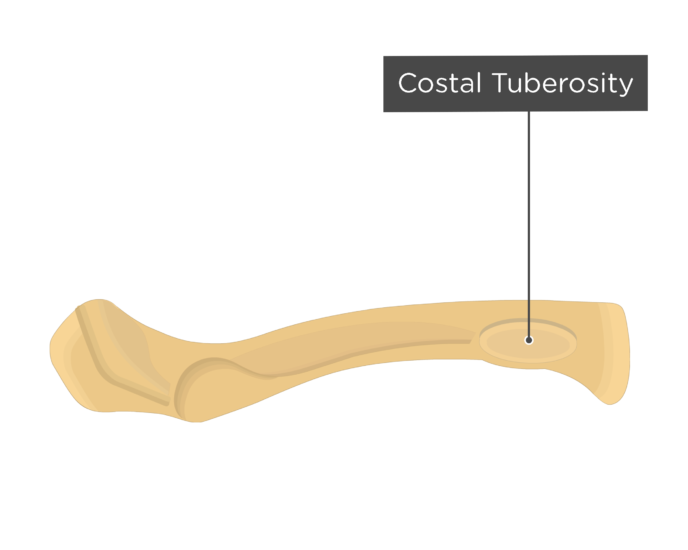 Costal tuberosity (Impressio ligament costoclavicularis) is a roughened oval elevation on the inferior surface of the bone, near the medial (sternal) end. 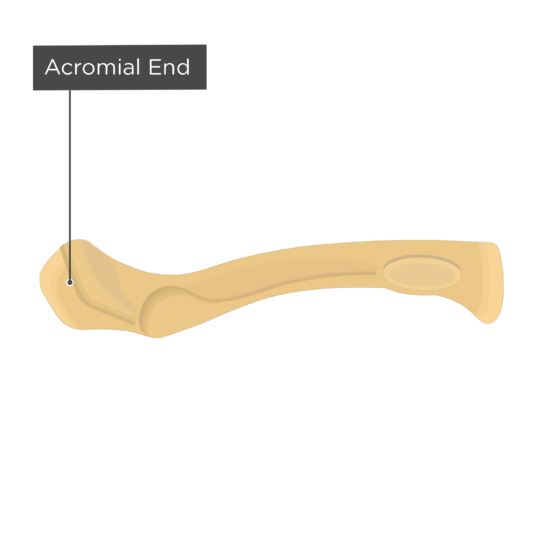 It serves as an attachment point for costoclavicular ligament, that attaches the clavicle to the costal cartilage of the first rib. 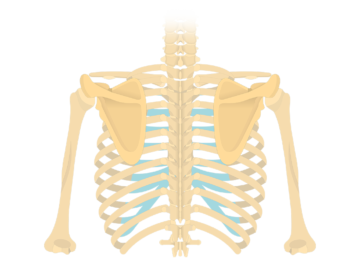 This marking is also called the impression for costoclavicular ligament. 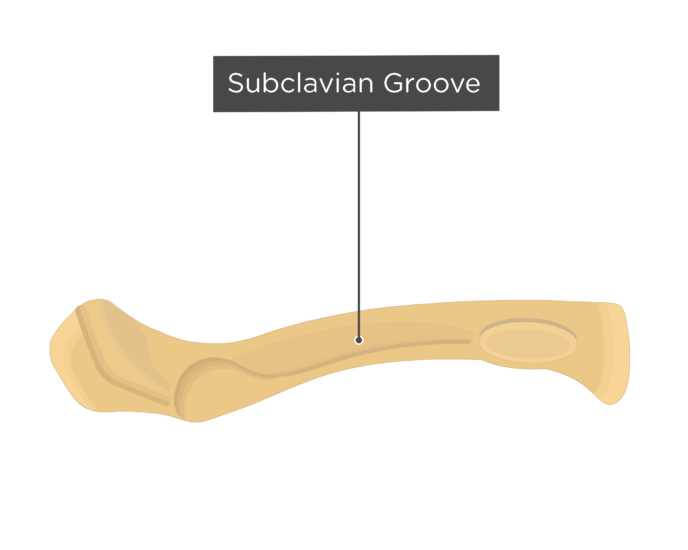 Subclavian groove or sulcus (sulcus musculi subclavii) is an indentation that runs horizontally along inferior surface of the bone, from the costal tuberosity to conoid tubercle. 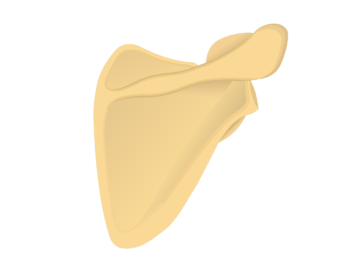 The sulcus, which is also called the groove for the subclavius, serves as an attachment point for the subclavius muscle.